The British Gazette » A letter to the Editor. 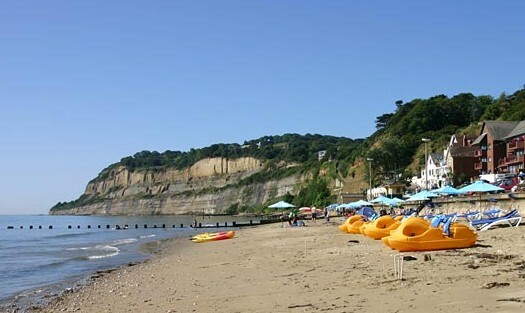 Above a view of Shanklin Beach looking south. Today we publish one of our readers letters. This from Mr Martin Chambers from Shanklin, Isle of Wight. The British Army’s new Ajax fighting vehicles to be built in SPAIN using SWEDISH steel at the request of the EU to support jobs in Spain with EU grant, rather than Wales. Indesit (washers and dryers) at Bodelwyddan Wales gone with EU grant. Boot’s sold to the Italians – Stefano Pessina, who have based their HQ in Switzerland to avoid tax to the tune of £80 million a year, using an EU loan for the purchase. UK strategic oil pipelines (military airfields) are owned by a Spanish company. The Mini cars that Cameron stood in front of as an example of British engineering, are built by BMW mostly in Holland and Austria. His campaign bus was made in Germany even though we have Plaxton, Optare, Bluebird, Dennis etc., in the UK. The bicycle for the Greens was made in the far east, not by Raleigh UK but then they are probably going to move to the Netherlands too, as they have said recently. I haven’t detailed our non-existent fishing industry, that the EU has paid to destroy (using our money of course), nor the farmers being paid NOT to produce food they could sell for more than they get paid to do nothing, don’t even go there. I haven’t mentioned what it costs us to be asset-stripped like this, nor have I mentioned immigration, nor the risk to our security if control of our armed forces is passed to Brussels or Germany. Would you want our soldiers dying in Turkey or Ukraine?